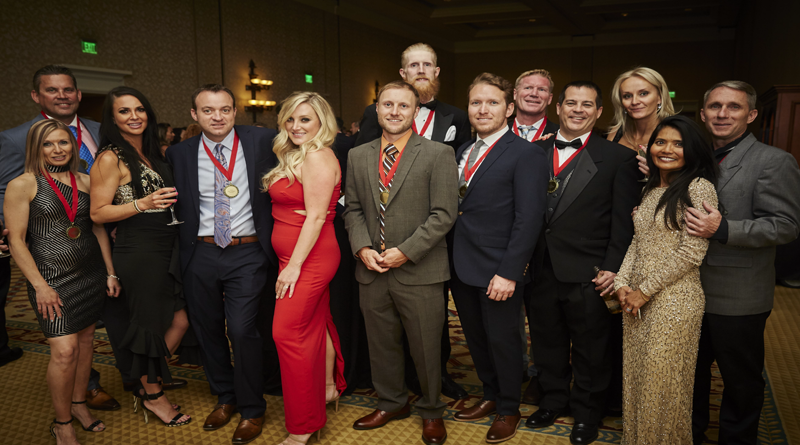 The American Resort Development Association (ARDA) recently selected 9 Gold ARDY Winners from Breckenridge Grand Vacations (BGV) at the 2018 ARDA Awards for resort professionals. Each year, ARDA, the trade association which represents the timeshare vacation ownership and resort development industry, holds ARDA World, the annual gathering of timeshare professionals. This year, nearly 3,000 delegates were in attendance. Designed to distinguish the top employees and organizations in the global timeshare industry, the ARDA Awards (ARDYs) have become the standard to which the vacation ownership and resort development industries measure success. These individual and team awards, combined with the recognition as #1 large Colorado company by the 2018 Denver Post Top Workplaces Award, stand out as a major accomplishment for the locally-owned and operated Breckenridge Grand Vacations, which is the parent company of Gold Point Resort, Grand Timber Lodge, the Grand Lodge on Peak 7 and their newest and most luxurious resort—the Grand Colorado on Peak 8. As the largest year-round employer in Breckenridge, BGV competed against major international hospitality brands such as Marriott, Hilton, Wyndham and Disney in the ARDA competition. In the 2018 Denver Post Top Workplace Award, BGV outpaced organizations such as Edward Jones, USAA, Progressive Insurance and T-Mobile US, as well as others. All BGV award contenders attended ARDA World 2018 in Las Vegas, where the winners were announced at the Awards Gala on May 9, 2018. All finalists in the competition are selected from hundreds of entries submitted by ARDA members and judged independently in a confidential/blind judging process. For more than a decade, BGV has consistently won at the Annual Awards Gala, which takes place each spring at the ARDA World Convention. ARDA has also presented BGV with numerous ARDA Circle of Excellence (ACE) awards over the years, which is the highest honor in the timeshare world and distinguishes those who have reached the most supreme level of excellence in the industry. For more information about Breckenridge Grand Vacations, visit breckenridgegrandvacations.com.